Get your daily scoop of what State of the Union is watching today, January 10, 2014. 1. Dismal jobs report. The December employment picture fell far below expectations, with only 74,000 jobs created last month. Economists had expected the addition of nearly 200,000 jobs. Meanwhile the unemployment rate fell from 7.0 to 6.7%, but that drop was mainly due to people giving up looking for work. 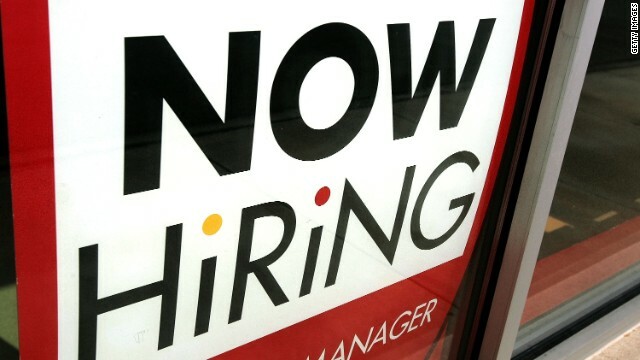 December posted the weakest job gains since January 2011. 2. Getting tougher on Iran. The Senate appears to have the votes to pass legislation authorizing new economic sanctions on Iran. The bipartisan bill would give President Obama more than a year to negotiate a final nuclear deal with Iran before the sanctions kick in. The White House has been lobbying lawmakers to hold off on additional sanctions. "We have in our many discussions with members of Congress urged them not to pass further sanctions legislation now because it would be counterproductive," White House Press Secretary Jay Carney said. "It would, I think, in many ways have the opposite effect that they hope it would have." 3. Iraq violence by the numbers. Iraqi health officials say at least 60 people have been killed and nearly 300 wounded since fighting started in the country's Sunni-dominated Anbar province on January 1. Most victims were civilians. The violence has largely been fueled by al Qaeda-affiliated fighters. Has President Obama dropped the ball on Iraq and is it time for the U.S. to step up its efforts in the country? We'll ask Sen. John McCain this Sunday on State of the Union. 4. The GOP's empathy gap. When it came to having a vision for the future, shared values and strong leadership, Mitt Romney beat out President Obama by 55 to 45%, 55 to 42%, and 61 to 38% respectively, according to a 2012 national exit poll. But on the question of which candidate "cares about people like me," Obama defeated Romney by jaw-dropping 81 to 18%. Can Republicans or Democrats win on that question in this year's midterms? And will it determine the outcome of the elections? 5. Ex-RNC chairman to run for Senate. Former Republican National Committee Chairman Ed Gillespie is expected to announce soon his candidacy for the Virginia Senate seat currently held by Democrat Mark Warner. Gillespie has served as a White House adviser to George W. Bush as well as an adviser to Mitt Romney's 2012 presidential campaign. Analysts believe Warner will still hold an advantage, but some Republicans believe Gillespie as the GOP senate nominee could make for a competitive race. Democrats swept Virginia's top three offices in last November's elections.